Blessing: Hekate is a guide and a guardian. She protects those who call upon her, especially from murder, magic, theft, the dangers of childbirth, and the hardships of life on the road. She is also a mediating figure, who intercedes on our behalf with the other Gods. Study magic and prophecy, particularly theurgy, as she is the patron of that art. Go for walks at night, or among strange places. Aid fellow travelers and strangers, especially if they have dogs. (Or are wild dogs!) Appreciate the weird and uncanny. 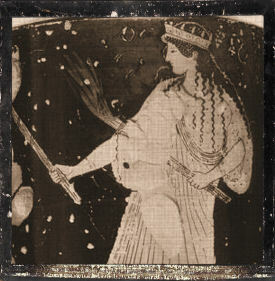 See also Bearing Torches, a devotional anthology in honor of Hekate from Bibliotheca Alexandrina.